With Fall quickly approaching (or should I say already here), many people are decorating with the warm fall colors, pumpkins, and colored leaves. Have you changed your decor yet? Below are varied examples of what you could do to decorate and get ready for the fall season. I am loving the colors of fall. I am loving THESE projects. At the bottom, I have added Mr. Linky so you can show how you decorate for fall. Link up and share!!! Fall just isn't fall without candy corn. Finding Home created these cute candy corn and pumpkins with her sewing machine. Gotta love this idea!!! Why not let your kids assist you in decorating by making melted crayon leaves for the window or a garland? Learn how at The Coolest Mom. Make an easy fall centerpiece by grabbing various "fall" decorations and putting them in a nest or earthy basket. This one by Domestic Indecisions is gorgeous. Have some extra wood laying around? Whip these wood pumpkins out in no time at all thanks to It's A Daisy Day! Spray paint your pumpkins to give them a different look. You can spray them white like the The Eck Life. OR you can spray paint your pumpkin this beautiful EGGPLANT color. Oh. My. Stunning!!! Tootsie Time has some amazing arrangements and decorations. It's So Very Cheri has some incredible dark green, cream and sage colored gourds that I love. 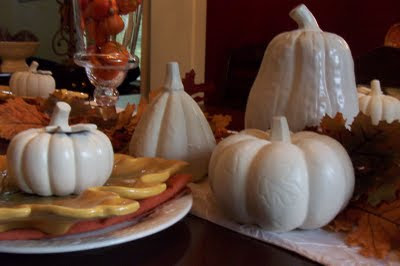 Because fall also means Halloween, you absolutely have to make spooky food. 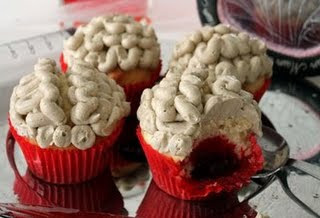 How about these brain cupcakes!!!! So funny! Not Quite Nigella has other cupcakes and a recipe for Halloween too. This fall arrangement in a pumpkin vase is rockin'!!! 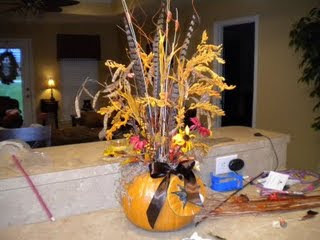 Pheasant tail feathers, fall leaves, wheat-looking stuff, flowers, spanish moss in a pumpkin vase. What could say fall better? The Watson's is to credit for this beauty!!! Make some festive fall or Halloween pillowcase dresses for your princess. Don't you just love this material? Homespun Threads has more cute ideas for dresses and links to a tutorial. Aren't these unique? Three little shadow boxes with beadboard and letters inside. I want these!!! Poppies At Play is the genius creator of this idea. Now is the time to decorate your mantel with warm colors, and fall accents. Look at how beautiful the Style Sisters mantel is. I'm sure you can find some branches to spray paint for some not-too-spooky tree decor. DIY Showoff has a couple of these trees. How was amazing? Amazing should be your answer. What have you got to share that is Fall related? Show the world and link up!!! Great post! I love to see everyones great ideas. I am really enjoying checking out your blog. I also loved the photo of the little girl in the L.O.V.E. t-shirts. So precious! Thank you so much for highlighting my blog. I will put your button on my blog right now! Yay!! Thanks Michelle! You are the best! I love all of the fall ideas. Those candy corn things are too cute. I love the new look of you site! Looking good!! Did you do it yourself? Thanks again and have a great day! Fun stuff!! Thanks for featuring me! I grabbed your cute link. I loved your ideas and this is a very cute blog. Have a fabulous day! Thanks for mentioning me! You're the best! Thanks for adding my link! You've featured some lovely projects. These projects are so much fun. I just saw this post and linked up...hope you don't mind that I am so late. Thank you so much for the link. I am doing a blurb about you, at the top of my blog post for tomorrow. 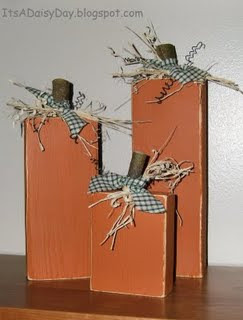 If you ever need a guest blogger, I would LOVE to come over and do a craft. I would also love to do a SWAP sometime. Let me know what you think. Great post and wonderful idea's. I love the white tree idea and the pumpkin lettered shadow box too. Love your ideals,I am going to follow you ! Such a great blog and the title rocks! Happily following along now! Hello Michelle - such great Fall inspiration you've shared! Thank you! My fave are the white spray painted pumpkins. the name of your blog describes me to a tee! LOL! the shadow box craft is really cute, but the sweater pumpkins are my fave!